Death and Taxes is a poster concept initiated by Jess Bachman in early 2006. 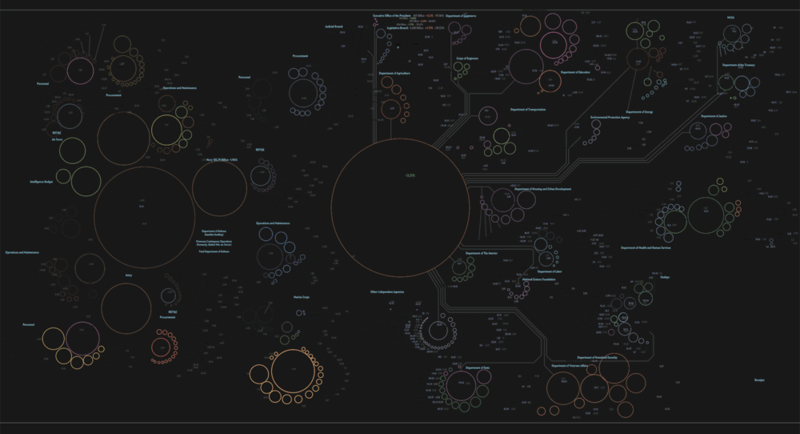 It depicts where the federal money goes by visualizing the President's budget request each year. For years he created the poster in Illustrator by hand. Graphicacy bought the franchise in early 2013 and automated most of the data scrapping, cleaning and sketching process. I wrote an automation script, slightely tweaked the poster design and produced the posters of 2013 and 2014 (2014 and 2015 FY Budget).